Purity and Quality is our #1 Goal when developing and manufacturing a ProSport Nutrition product. To ensure quality and purity we don't believe in adding cheap fillers to expand our powder base, artificial flavoring or color dyes. The ProSport Nutrition products are manufactured under a FDA Registered and Inspected Facility with strict GMP (Good Manufacturing Practices) standards using the highest quality and purest pharmaceutical grade ingredients. All ingredients are tested for contaminants, heavy metals, pesticides and fillers to ensue purity and quality to deliver a quality product for us and our customers. ProSport Nutrition products are Developed By and Manufactured Exclusively for ProSport Nutrition. Again, our products are manufactured in a state of the art NSF Certified cGM and FDA Registered Inspected facility in the United States that follow current and strict GMP guidelines and regulations. cGMP stands for " current Good Manufacturing Practices". This ensures that our products are manufactured using the purest and freshest ingredients and under proper manufacturing regulations. Quality supplements begin with quality and tested raw materials. All the ingredients in our products are tested for contaminants, heavy metals, pesticides and fillers. All incoming active and inactive ingredients are identified and recorded by our facility. They also undergo state of the art analysis to ensure zero tolerance for impurities. By using the purest, and freshest raw materials ensures us and our customers a quality finished product for optimal health and fitness goals. We ensure you that the ingredients that are listed on the label are actually in the product and in the required amounts and concentrations listed on the label. How supplements are packaged is important to keep ingredients fresh. ProSport Nutrition products are packaged in HDPE (high density polyethylene) or PET (polyethylene terephthalate) plastic containers. These bottles keep moisture vapor and harmful UV rays out, protecting the freshness and integrity of their contents. These containers are also recyclable so we urge you to please recycle them. 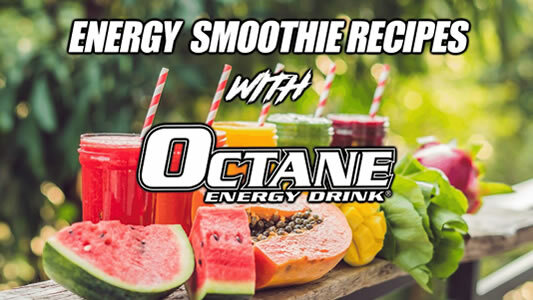 Our dedication to formulate the most delicious natural and refreshing taste for our OCTANE Energy Drink™ comes from our strong desire and passion to go beyond for us and our customers. 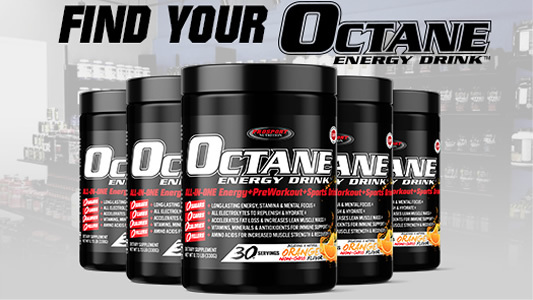 When you drink OCTANE Energy Drink™, you will enjoy it and look forward to drinking it every morning or when ever you're needing energy.